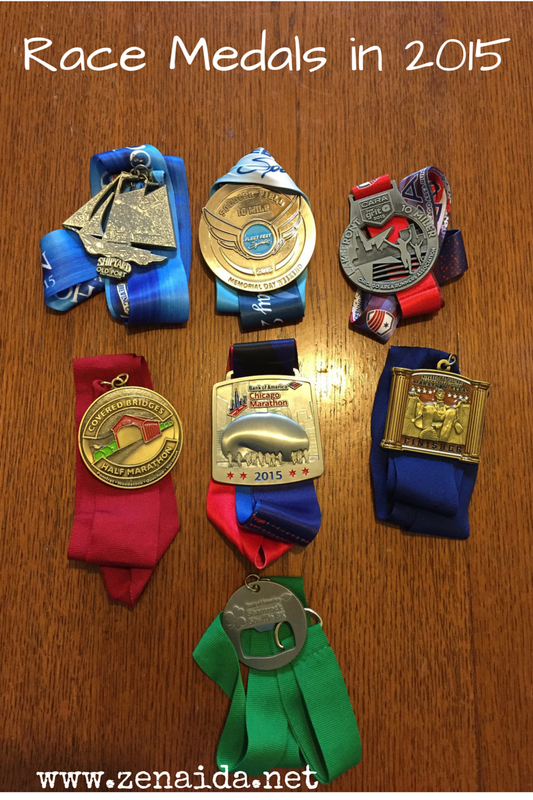 This year I ran 9 races (well 10 if you count the Illinois Marathon Relay) and earned 8 medals. This year my main focus was the Chicago Marathon so I had to limit the number of races. Note: Missing in the picture above is the one from the Chicago Half Marathon. I took it to school to show it to my students and left it there. All of my medals hold a special place in my heart. I worked hard and earned them. 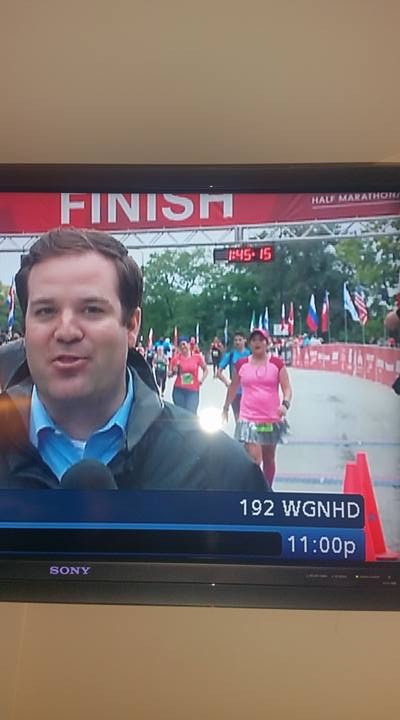 Whether it was the course, weather or something else going on, I pushed on through to cross the finish line. Bank of America Shamrock Shuffle-My first race in 2015. It was cold and windy! Love that this medal is also a bottle opener. Live Grit Lakefront 10 Miler-Another cold and windy day! It started off really nice but then the temperate dropped significantly throughout the race. I was the only one that did not have a jacket in my bag because, well, it was very nice in the morning. 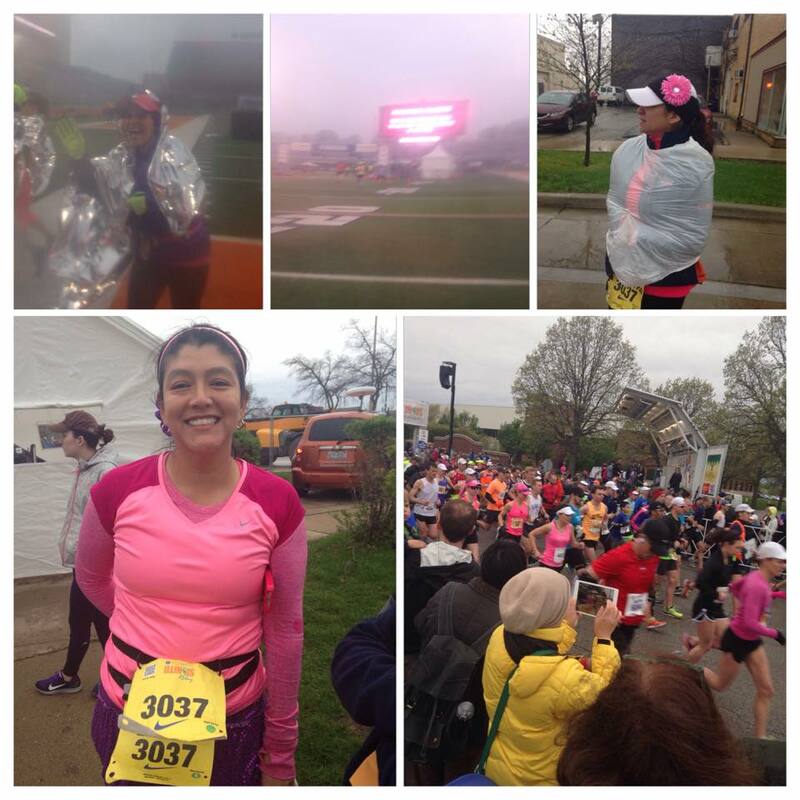 Illinois Marathon Relay–I did this race mainly to cross it off my list and ended up having a great time with my friends. It rained and rained and was even cancelled due to the weather. But, we still managed to finish it. Quarryman Challenge 10 Mile-Hills, hills, and more hills. It was challenging all right. Oh, how much I dislike this race. Maybe I’ll do it again when I am in better shape and can tackle the hills. I remember it was humid and muggy in the morning. Oh, no medal. But there was pizza and beer….LOTS OF IT. Fleet Feet Sports Soldier Field 10 Mile-Finally a PR for me! With a flat course and decent weather, everyone enjoys the race. Covered Bridges Half Marathon-A fun trip with Jaime! Oh, how I miss traveling and running with her. She has already finished running in the 50 states. It was a beautiful course with one gigantic hill around mile 8. Still I ended up with my second best half marathon finish time. Elmhurst 4 on the 4th-One of my favorite races and plan to do this every year as long as I am in town. It is a small race and cheap ($25), plenty of parking, semi-challenging, and not too far from my house. The first mile was my fastest but paid for it later in the race. Still, GREAT RACE. Shipyard Old Port Half Marathon-Another HOT race! My goal was to finish under 2:30 but that did not happen and honestly I was OK with it. I met up with Kim, Elizabeth, and Sonya in MA, ate in NH, and slept in ME. Three states in a couple of hours!! There is so much to do in Portland and we made the best of it and had fun. 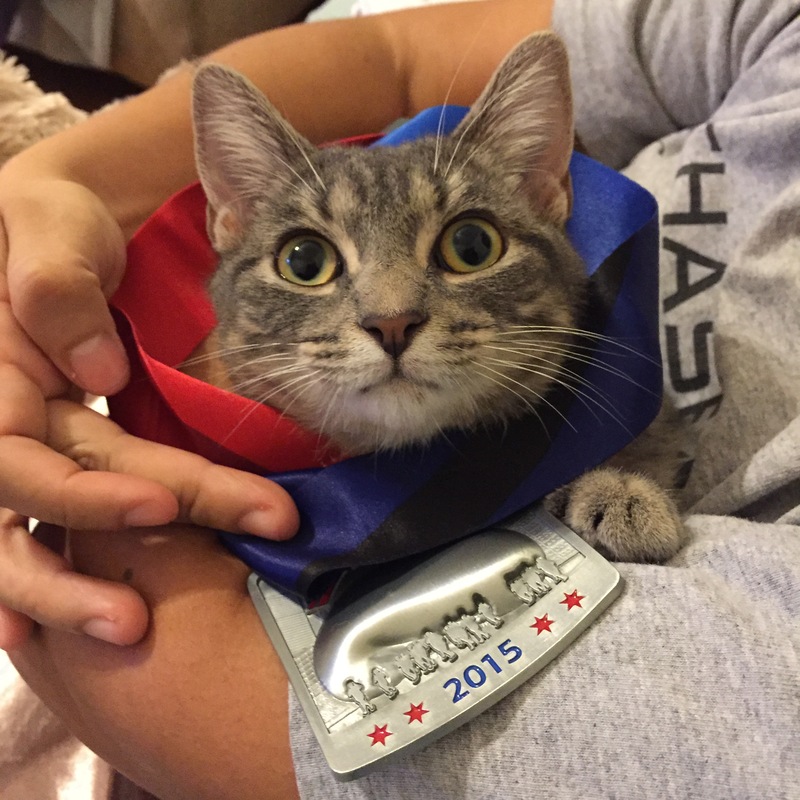 Chicago Half Marathon-Love this race because of the medal! I ran this race without listening to music. Yep, 13.1 miles with no music. Great course! Plus I made it on the news. This race works out perfect for those training for the Chicago Marathon. Chicago Marathon-My last race of the year and my 7th marathon. Done and done. So many mixed feelings with this race. I was happy, relieved, and in pain. I chafed really bad and that hurt even more to walk than from running 26.2 miles. I remember thinking that I would never run a marathon again. Well, that did not last long because I applied again for next year and am waiting to hear back for CARA. Favorite Medal: The one shown above from the Chicago Half Marathon. Almost as big as my face and I think similar to the one from the Little Rock Marathon. Also, I enjoyed the course and we had great weather till the end when it started to run. So here are my medals for this year. What’s your favorite bling from 2015? You had a great year, Zenaida! It was so great to meet you at the Cara10! It was crazy how cold it got. 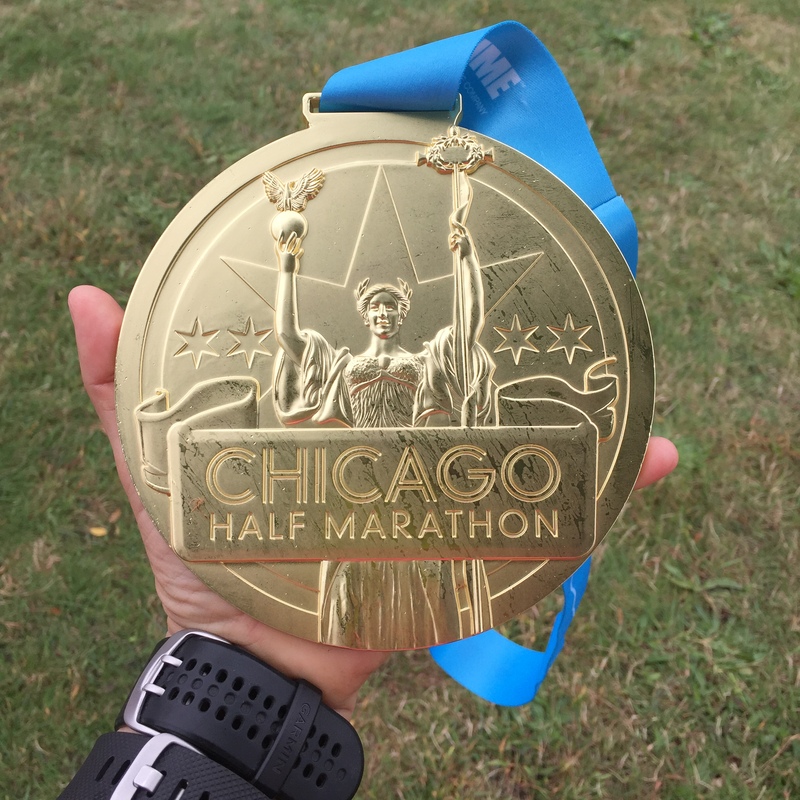 That Chi half medal is insane! Cheers to a wonderful 2016. Thanks for linking up! Thank you! I am excited about 2016 too. And yes I met you and Wendy at the CARA 10 Miler. It may not have gone the way I wanted, but at least I met two other bloggers. I’m so glad I got to meet you at that CARA 10 miler! Wasn’t that the craziest weather? I won’t be running Chicago this year…I’ve got Big Sur in the spring and I’m not going to do another marathon this year. But I hope to see you at one of the other races…. Yes, that is when I met you! Still cannot get over how cold and windy it was at the end. But at least I stayed long enough for a beer that I definitely earned. That is right about Big Sur. When will you start training for it? Or have you started already? And yes, hopefully I’ll see you at another. What a fantastic year you had! You amassed some gorgeous new medals to add to your already enormous collection! That Chicago Half Marathon medal is really something else. It looks like a dinner plate! They really upped their game this year with the bling! Beautiful medals to represent another fantastic year of running. Keep it up! Thank you! I may not have a lot of medals but I am proud of each one.